Our expert mortgage advisors have compiled some buy to let mortgage tips to help answer a lot of questions that we’re regularly asked. If you need a buy to let mortgage and are unsure of how to start, you can browse the wealth of information on this site or you can speak to an expert mortgage advisor. A buy to let mortgage is specifically designed for a property that is being purchased to then rent out. The buy to let mortgage is then added as a charge on the property by the lender. This is always done on the purchase unless you’re remortgaging where a new charge would be raised. The aim of a buy to let mortgage is then to repay the loan back on a monthly basis from the rent that your tenants are paying you. When done correctly, the rental income should exceed your monthly mortgage payments, leaving you with a profit every month. There are no differences in how the mortgage operates when compared to any other mortgage, such as residential mortgages. Buy to let mortgages may have different rates and may require larger deposits when compared to residential mortgages. When compared to residential mortgages, buy to let mortgages operate in almost the exact same manner. One difference for instance, is the criteria that lenders use in assessing who they’ll lend to and how much. This is because the way lenders assess affordability differs between residential and buy to let mortgages. Above all the key difference in the actual mortgage product itself is that buy to let mortgages can be arranged on an interest-only basis. Residential mortgages are no longer available on interest only and therefore must be taken on a repayment basis. Buy to let interest-only mortgages are favoured by landlords over buy to let repayment mortgages. The reason being is that interest-only mortgages tend to have lower monthly payments resulting in higher monthly profits. This is because you’re only repaying the interest back to the lender and not the actual mortgage loan. On a repayment mortgage, you’d be paying back the interest in addition to the actual loan, resulting in higher monthly payments. The advantage of a repayment mortgage is that at the end of the term you’ll own the property outright. On an interest-only mortgage, buy to let landlords will normally sell the property towards the end of the mortgage term. This is because you’ll still have to pay back the original mortgage amount to the bank. How much does a buy to let mortgage cost? Buy to let mortgages are often available with higher setup fees when compared to residential mortgages. It’s important to check the cost of the product for the overall term and if there are any survey fees or arrangement fees in addition to your mortgage. Buy to let property is an investment so paying attention to numbers is key in making your venture a success. As products and rates are always changing, there isn’t one set cost for a buy to let mortgage, however our expert mortgage advisors are always on hand to discuss your options. You can also take a look at our current best buy deals on our buy to let mortgages which are updated along with the market. How much deposit will I need for a buy to let? In most cases, you’ll need a 25% deposit for a buy to let mortgage. In some cases, it is possible with a lower deposit, but it’s often advised to place down 25% minimum as it allows you access to better rates and products. If you place an even higher deposit down such as a 40% deposit, you can be sure to get the best going rates available. This can make a great difference in the monthly profit margins you can potentially gain from your rental income. Let’s give you an example. You’ve seen a property and the asking price is £100,000 and the property vendor won’t budge on the price. You will need a 25% deposit, meaning you’ll need a £25,000 deposit and a 75% LTV mortgage product. Remember, the LTV is simply the loan to value of your mortgage. Also bear in mind, your £25,000 deposit doesn’t include any other fees such as solicitor and mortgages fees. Mortgage products come in many shapes and sizes and buy to let mortgages are no different. You will have the choice of choosing either a fixed rate mortgage or a tracker rate mortgage. There is no right and wrong rate to choose as both can be beneficial depending on what the Bank of England base rate does. As the economy has been unpredictable in recent times there are many mixed views on which rates to choose. Choosing a fixed rate buy to let mortgage can provide you with security in knowing that your payments will be fixed for a certain period of time. This can then enable you to plan and budget around your mortgage. The disadvantage of this is that fixed rate mortgages often cost more than variable rates and the base rate could drop even further. Tracker rate mortgages are unpredictable which means you won’t have the security of a fixed rate mortgage. This is because your mortgage rate could increase at any time. The advantage of fixed rate mortgages is that if the interest rate decreases, then so will your mortgage repayment amount. Tracker rates are often cheaper to obtain and rates can sometimes be lower. Deciding on which buy to let mortgage rate is best, ultimately depends on you and what you’ll be comfortable with. It’s important to consider all the varying factors before committing. Landlords generally go for interest-only mortgages. This is because monthly mortgage payments are less when compared to buy to let mortgages on a repayment basis. This monthly income can then be used to buy another property and so on. Portfolio landlords often use this method and only when they have a portfolio may consider buy to let mortgages on a repayment basis. This is so they can at least keep a few properties at the end of their mortgage terms. This can be useful for a pension or additional income streams once retired. Make sure you use a broker who has access to the whole market and is also experienced in buy to let mortgages. If you have a specialist case such as bad credit or you’re self-employed then you’ll most likely need a specialist mortgage advisor. Shop around and don’t limit yourself to your high street bank. Accessing the whole market will enable you to secure great products with the lowest fees. This is crucial on your road to buy to let success. Be sure to check for fees such as arrangement fees from lenders or mortgage survey fees. Some lenders may also have hefty early redemption penalties if you needed to sell and repay the mortgage before the term expired. Often enough buy to let mortgages can be secured with great rates and extremely low fees, you just need to know where to look. A product with low fees doesn’t automatically make it the best product available. Be sure to check the overall cost of the mortgage across the term. This is to really ensure you’re getting the best deal out there. Declined a buy to let mortgage? Sometimes mortgage applications will get declined. This could be due to having bad credit or not enough employment history. Issues such as these aren’t in fact the reason you’ve been declined. This is often because the mortgage was placed to an unsuitable lender or it wasn’t presented in the best manner. The market is packed full of lenders who all have different criteria. Just because one lender says no it doesn’t mean they all will. 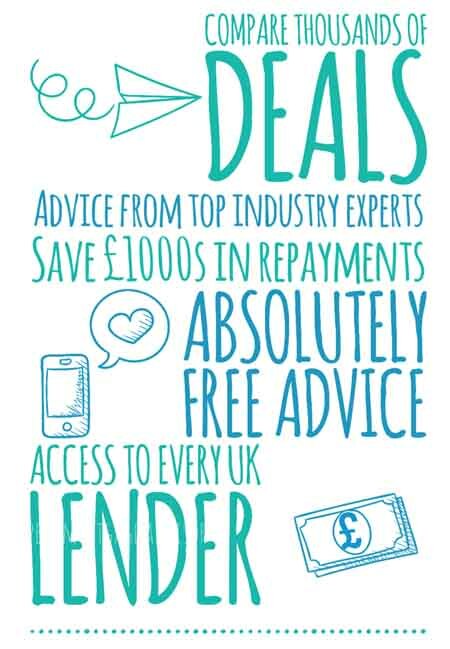 Our expert advisors have secured endless mortgages for those who have previously been declined. You can always make an enquiry with one of our experts who can talk you through everything. Speak to an accountant as UK tax laws are forever changing. This can have a direct impact on your buy to let income and a qualified accountant can demonstrate ways to structure your buy to let properties to gain additional tax relief. Remember to treat your buy to let investment as a business to ensure the best returns. There’s certainly been an increase in landlords creating limited companies to hold property as this can sometimes be advantageous. Learn about limited company mortgages here. Speak to an expert mortgage advisor if you’re still unsure. All of our advisors have access to the whole market and also specialise in buy to let mortgages, even with tricky applications such as adverse credit or self-employed applicants. With a wealth of knowledge, our friendly advisors can explain the procedure in great detail and also source you the best deal suited to your circumstances. You can call us now on 0800 195 0490 or make an enquiry. 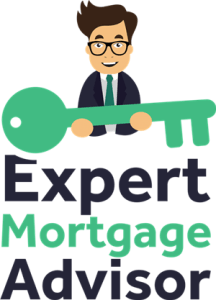 Next articleRemortgage or a secured loan?